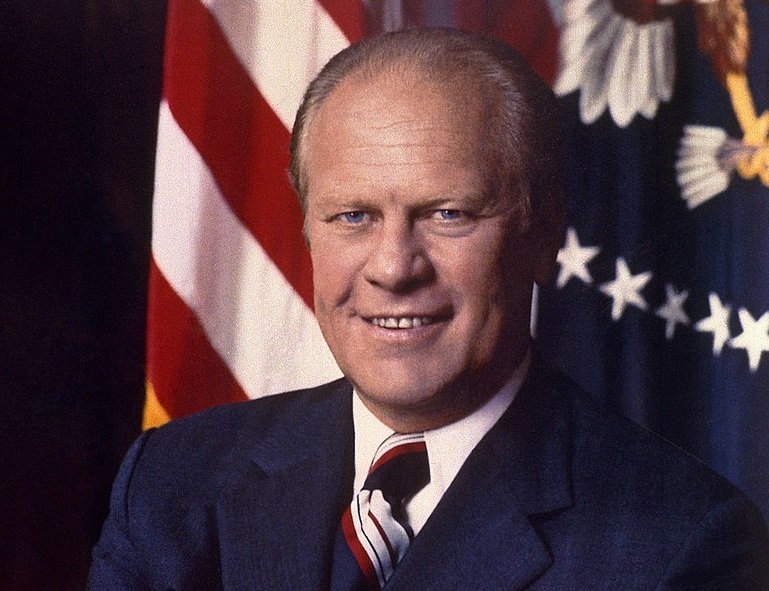 Gerald R. Ford:- Gerald Rudolph Ford (July 14, 1913 – December 26, 2006) was an American politician who served as the 38th president of the United States from August 1974 to January 1977. Before his accession to the presidency, Ford served as the 40th vice president of the United States from December 1973 to August 1974. Ford is the only person to have served as both vice president and president without being elected to either office by the United States Electoral College. Born in Omaha, Nebraska, and raised in Grand Rapids, Michigan, Ford attended the University of Michigan and Yale Law School. After the attack on Pearl Harbor, he enlisted in the U.S. Naval Reserve, serving from 1942 to 1946; he left as a lieutenant commander. Ford began his political career in 1949 as the U.S. representative from Michigan’s 5th congressional district. He served in this capacity for 25 years, the final nine of them as the House Minority Leader.